One of the included episodes is based on the story from the 15th volume, while the other contain an all-new original story. It's been quite a while since I've seen the original anime. Thankfully, the quick re-cap at the beginning of the OVA brought back all the memories of what happened in the anime. In this bundle consisting of two OVAs we get to see our beloved characters Nanami, Tomoe, and of course the loveable baby Mizuki. Sadly, the OVAs can easily be dismissed as generic. 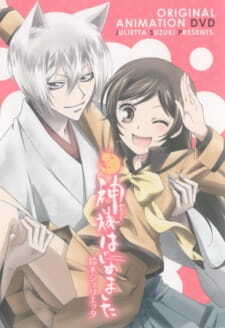 We have the typical Nanami who over thinks things, and tries to impress a Tomoe who never needed to be impressed. She tries to assert her independence, and ultimately ends up making a fool of herself in the attempt. Still, it's nice to see how the Tomoe x Nanami relationship has slightly changed into a closer one where Tomoe's more open. On an ending note, the music was blissful, from the beginning to the end. The little scenes where everything becomes quiet and all you hear is a beautiful tune will never get old. The ending of the OVA seemed to leave a little mystery though, perhaps hinting towards something more in the future. I'd suggest giving this a watch if you enjoyed the original anime, it won't do any harm.